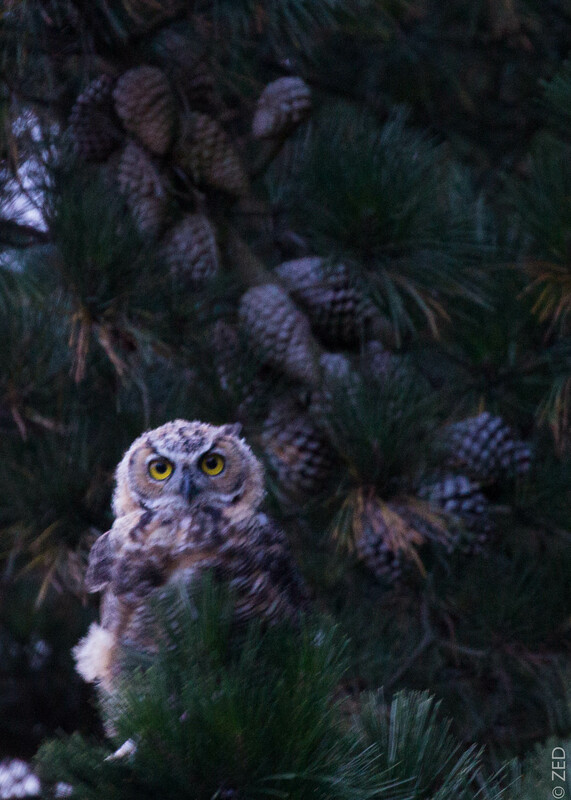 I had pretty much given up on seeing baby owls in the area I typically roam, despite there being about five pairs that I see with some regularity. I’ve seen some in other areas, all fledged, flying and without any downy white feathers left on them. 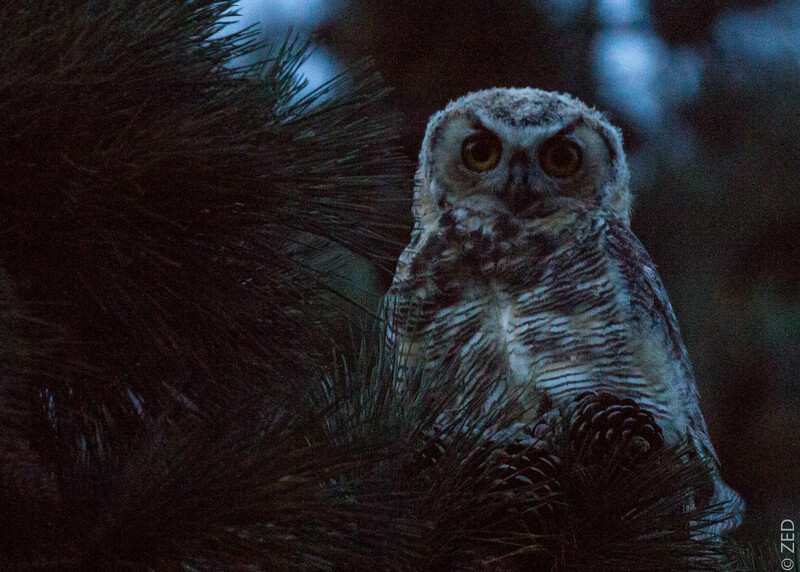 Tonight during twilight with very little light left in the sky I finally heard that familiar sound – a young owl! I made my way in the direction of its call, and sure enough, there it was – along with a brother or sister nearby. The pictures are rough with so little light, but they allowed me to get very close to them as we looked at each other in wonder. These two still have some of their white downy feathers, but they are able to fly. 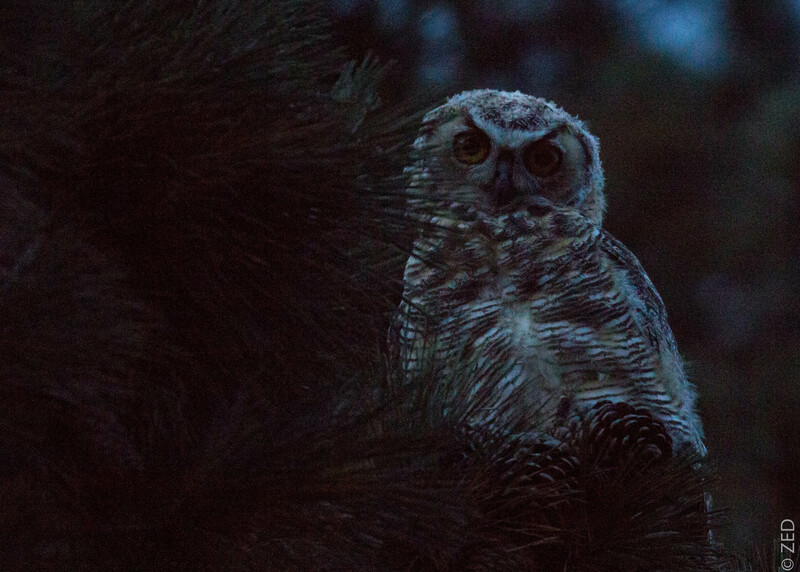 They are from a nest that is likely on private property right next to the park – I see the parents with some frequency in the park, but this is the first time I’ve seen or heard young owls from any of the three pairs of adult owls that I see most often. This pair also had at least one youngster last year. I’m excited to see them again soon, maybe even with some better light. This entry was posted on July 12, 2015 by feralzach. 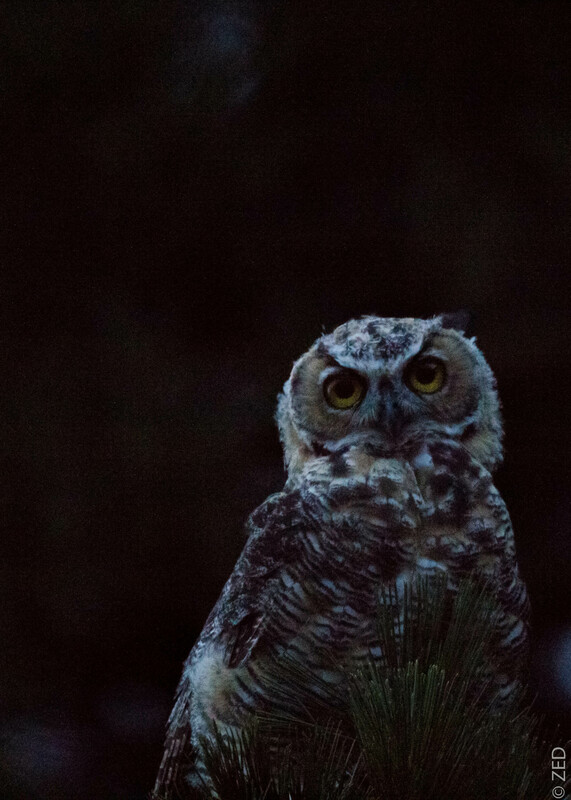 It was filed under Uncategorized and was tagged with Bubo virginianus, california, east bay regional parks, fledgling, great-horned owl, juvenile.